05-18 Chrysler 300 Carbon Fiber Hood. Chrysler 300C Carbon Fiber Hoods by AIT Racing, Anderson Composites, Carbon Creations, TruCarbon & VIS Racing are available. Choose from OEM or Vented Chrysler 300 Carbon Fiber Hoods. 05-18 Chrysler 300 Hood. 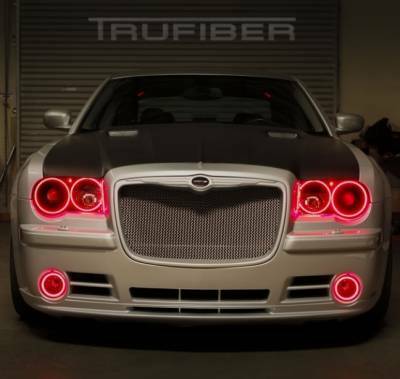 Chrysler 300C Carbon Fiber or Fiberglass Hoods from TruFiber, Carbon Creations and Extreme Dimensions. 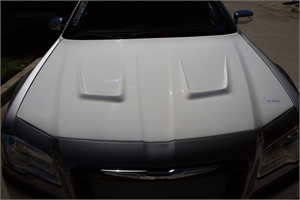 Chrysler 300 Hoods are available in both OEM and Vented styles and fit V6, Hemi or SRT Models. Dodge Challenger Hood. 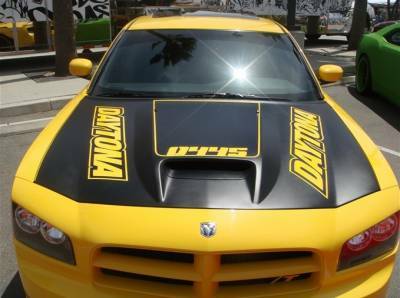 08-15 Dodge Challenger Hoods in Carbon Fiber, Fiberglass, Cowl or Ram Air Conversion. 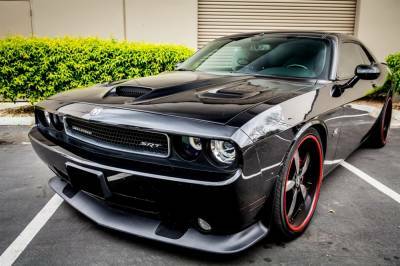 Dodge Challenger Hoods are made by Cervini's, VIS Racing, Seibon, TruFiber & Carbon Creations. Dodge Charger Hood. 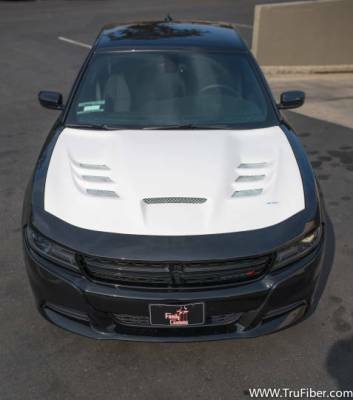 Carbon Fiber or Fiberglass Hood for Dodge Charger. 06-14 Charger Hoods by Black Ops, Carbon Creations, AIT Racing, TruCarbon, VIS Racing & Seibon are available. 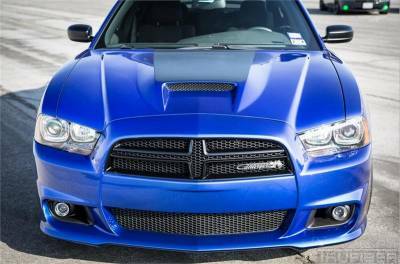 Choose from SRT or other Vented Hood Styles for Charger. Dodge Durango Hood. 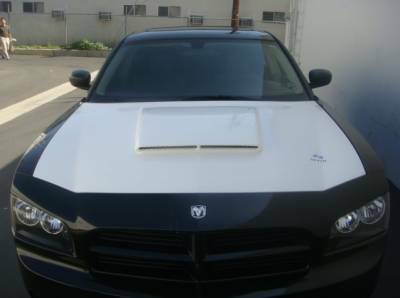 OEM or Aftermarket Fiberglass Hoods for Dodge Durango 98+. 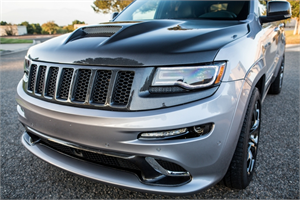 Hoods by VIS Racing & Others for Durango provide show quality looks with aggressive styling. Enhance your vehicle while adding functionality. Dodge Magnum Carbon Fiber Hood. 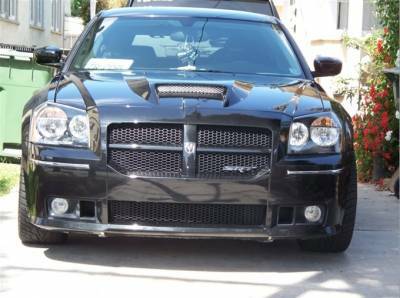 CF Hoods for Dodge Magnum by TruCarbon, Black Ops & More. 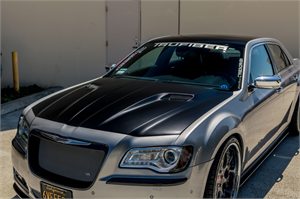 05-07 Dodge Magnum Carbon Fiber Hoods are available in OEM or Aftermarket Styles by TruCarbon. Choose from A23 or A58 Carbon Fiber Magnum Hoods. Dodge Magnum Hood. 05-07 Dodge Magnum Hoods available in Carbon Fiber or Fiberglass by AIT Racing, Carbon Creations, Extreme Dimensions, TruCarbon, TruFiber & VIS Racing. 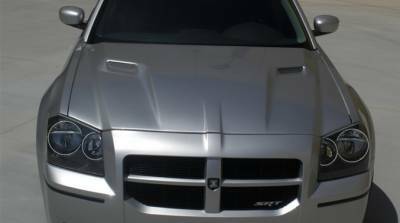 Hood for Dodge Magnum in OEM or Aftermarket Vented Styles. Dodge Neon SRT4 Carbon Fiber Hood. 03-05 Neon SRT4 Carbond Fiber Vented Hood, OEM or Vented Style. Carbon Fiber Hood for Dodge Neon SRT4 from AIT Racing, Carbon Creations, Seibon & VIS Racing. Set off your Dodge Neon with Carbon Fiber Hood. Dodge Ram Hood. 02+ Dodge Ram Hoods in OEM & Vented Styles in Fiberglass or Carbon Fiber. Fully Functional Dodge Ram Hoods by AIT Racing, Carbon Creations, TruFiber, Seibon & VIS Racing. 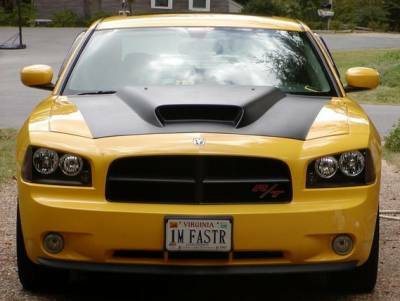 Set off your Dodge Ram with a Hood from FastHemis.com! Dodge Ram SRT10 Carbon Fiber Parts. 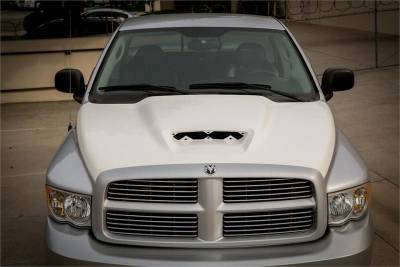 Dodge Ram Carbon Fiber Hood & more for 1500 5.7L Hemi Ram SRT10. Carbon Fiber Hoods from Carbon Creations, Seibon Carbon and VIS Racing for 003-05 Dodge Ram 1500. Hoods feature Top Grade Carbon Fiber. Hemi Carbon Fiber Hoods. Hemi Carbon Fiber Hoods for Chrysler, Dodge or Jeep. Hemi Carbon Fiber Hoods by Black Ops, Carbon Creations, TruCarbon, VIS Racing & Seibon Carbon. OEM, Vented or Ram Air Hemi Hoods! Hemi Hoods. Hemi Hoods for 300, Challenger, Charger, Magnum, Ram & Cherokee. Hemi Hoods available in Fiberglass or Carbon Fiber. In addition, we have Hemi Hoods from Black Ops, Carbon Creations, TruFiber, Seibon, VIS & More! Jeep Grand Cherokee Carbon Fiber Hood. 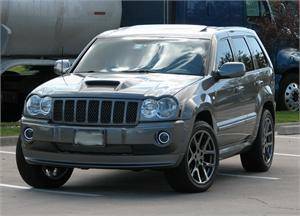 05+ Grand Cherokee Hoods available in Carbon Fiber or Fiberglass. 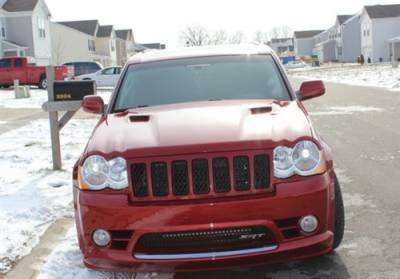 SRT8 Cherokee Hoods by Black Ops, Carbon Creations, Extreme DImensions, TruCarbon, TruFiber & VIS Racing. OEM & Vented Styles. Ships by oversize freight. Please allow 48-72 hours to ship out. Description: 11-98 Jeep Grand Cherokee A23 Hood by TruFiber. All TRUFIBER aerodynamic parts and auto accessories give you the best in show and off-road performance. All of our fiberglass and carbon fiber products are designed for true enthusiasts. 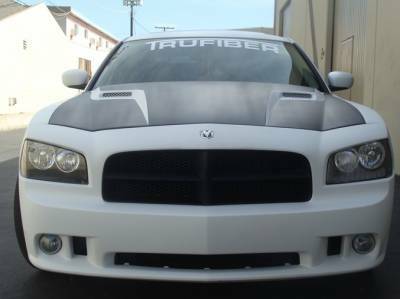 Description: TruFiber A50 Hood for 06-10 Dodge Charger (TF20020-A50). 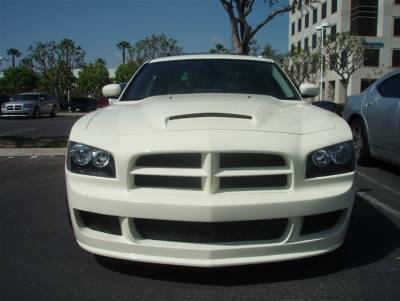 The TruFiber Dodge Charger A50 Hood features a 3" Cowl and is composed of Fiberglass. 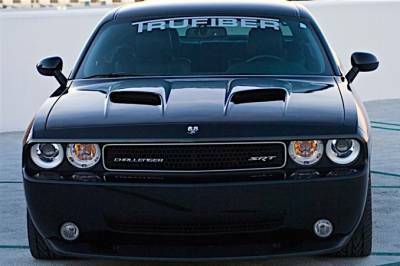 TruFiber hoods feature excellent fitment and premium quality for your 06-10 Dodge Charger! 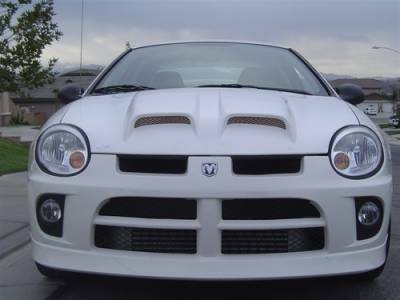 Description: TruFiber A6 Hood: 03-05 Dodge Neon SRT4 TF20120-A6. All TRUFIBER aerodynamic parts and auto accessories give you the best in show and off-road performance. Description: TruFiber A64 Hood: 02-08 Dodge Ram TF20420-A64. All TRUFIBER aerodynamic parts and auto accessories give you the best in show and off-road performance.